Why the cryptocurrency market is dangerous? Skeptics and official representatives of the financial market say about Bitcoin, that it is a classic «financial bubble», which is going to burst. And someone do not shy in his statements, calling Bitcoin a pure fraud. Surprisingly, all the analytical conclusions and the statements made regarding this cryptocurrency are correct. In this case it is fifty-fifty, but… meanwhile, the cryptocurrency reaches another psychological value and now for 1BTC is trading at around $15 000. And the currency shows miracles of unprecedented growth, making +1000% in one year. No one traditional asset and currency did this before. All analysts fear high volatility. Volatility (variability) is a key financial measure of the variability of prices. Lance jumps and falls of the exchange rate of Bitcoin are scaring most financial analysts, causing them to compare bitcoin and “financial bubble”. Important psychological value reached in minimal time. The last value reached in just 40 hours, when the rate of Bitcoin has increased from $12000 to $16000. Also, we know about past financial bubble: financial crisis of 2007–2008, which started with the US mortgage crisis of 2006 and the dotcom crisis in the early 2000s. 1. When a respectable, but elderly scientist says that something is possible, he is almost certainly right. When he states that something is impossible, he is very probably wrong. 2. The only way to discover the limits of the possible is to dare to make a step into the impossible. From our point of view, they fit perfect to blockchain technology. When respectable but elderly financial analysts claim that Bitcoin will collapse, they are almost certainly right. When they state that it is impossible for Bitcoin to become a digital gold or a new currency and replace dollar, it will collapse, they are very probably mistaken. And it is so due to blockchain technology. After all, any sufficiently advanced technology is indistinguishable from magic! That’s why new blocks are mined by many powerful computers combined in a cluster. Which, in turn, combined into pools — a powerful computer nets. Pools are integrated into the Bitcoin network. These pools are the main miners of new Bitcoins. The total number of Bitcoins in the network cannot exceed 21 million units. 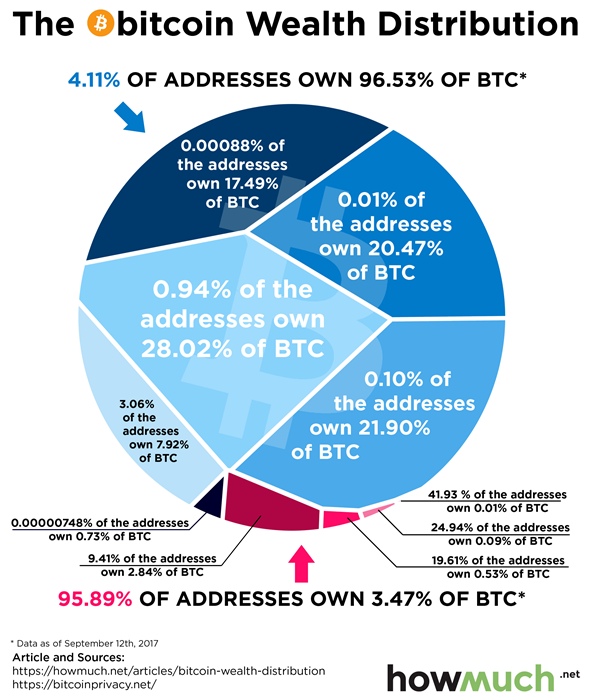 In 2017 about 70% of all blocks is already calculated. Every few years, the rate of mining new Bitcoins is artificially reduced in two times. The last Bitcoin is expected to be calculated in 2140. Summing up we can remember the forecasts of all respectable analysts and certainly say that Bitcoin is most likely a bubble, but it could become an international digital currency. Now, because of unhealthy excitement, Bitcoin exchange rate will rapidly rise and fall, testing the limits of the possible. More precisely, it will create the stress tests to pass for the network and all its participants. 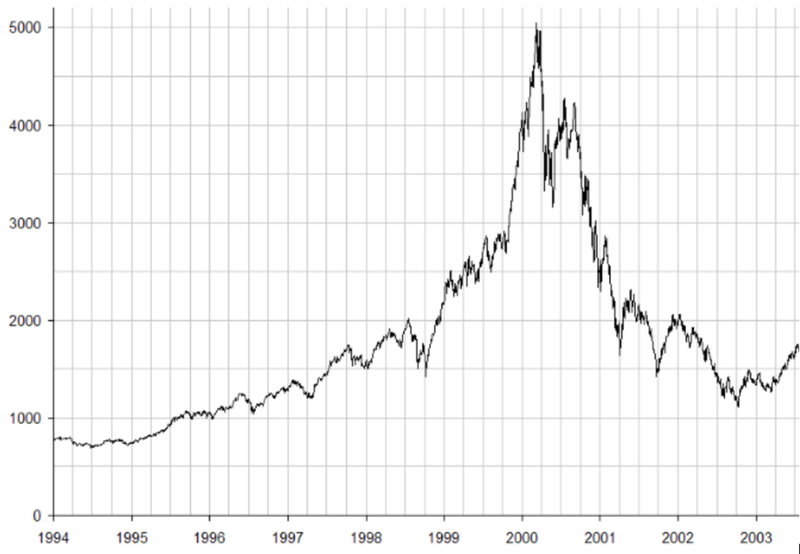 Just compare the dot-com and bitcoin charts. Anything can happen by the 2140. But, if Bitcoin exchange rate does not exceed important psychological level of $25 000, $50 000 or a million dollars, if there are not mined blocks yet, if international financial system starts to use Bitcoin (futures trading and transactions), nothing is to worry about — next couple of years or hours Bitcoin will have the rate! What will it be we find out soon. I believe that next year Bitcoin will be in the price, and the rate will increase. Are there any limits? We’ll find out. Other conclusions you can make are for yourself only! Because any sufficiently advanced technology is indistinguishable from magic! Finally, let’s consider an infographic that will undermine your confidence in stability further. p.s. Deutsche Bank called bitcoin one of the threats in 2018.